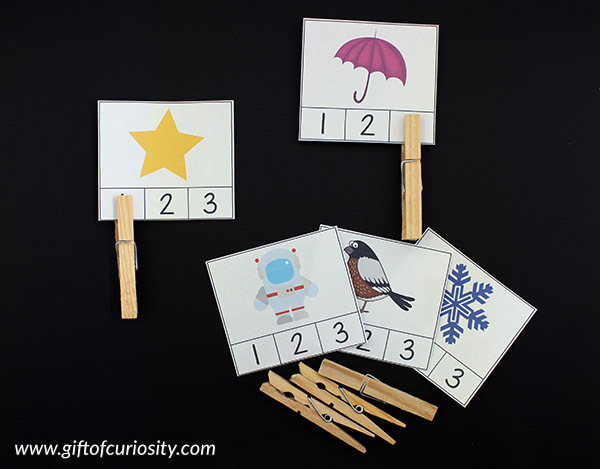 Are you looking for ideas to teach syllable counting? 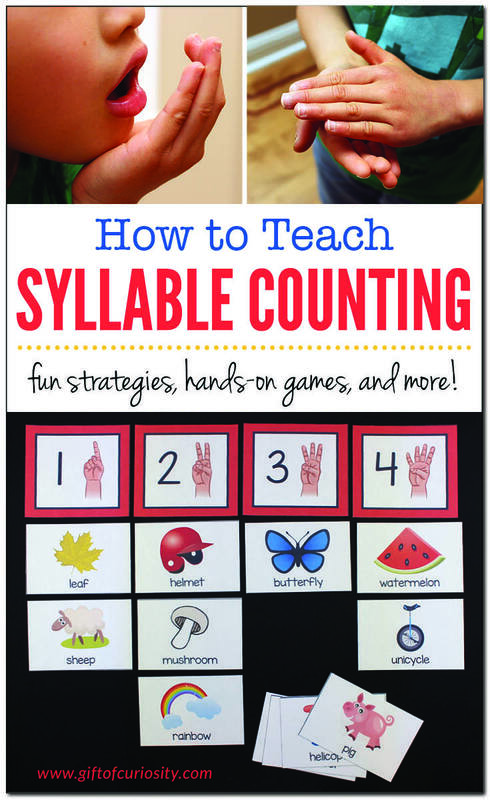 Or resources to help kids practice their syllable counting skills? 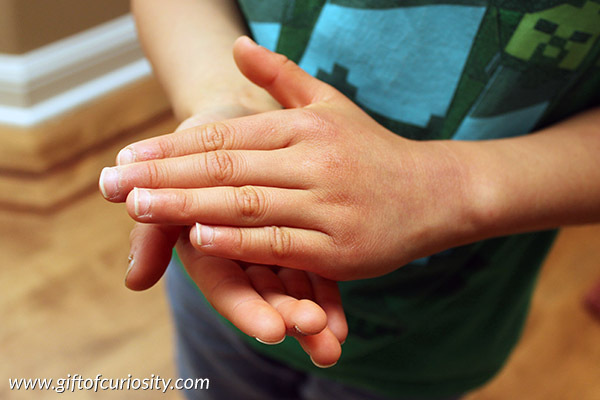 Have you ever wondered why we teach syllable counting to young children? Are you looking to gain clarity on what exactly a syllable is? I had an idea to create a simple Syllable Counting printable, but the project kept growing, and growing, and growing. . . until it turned into an entire Syllable Counting Activity Pack! 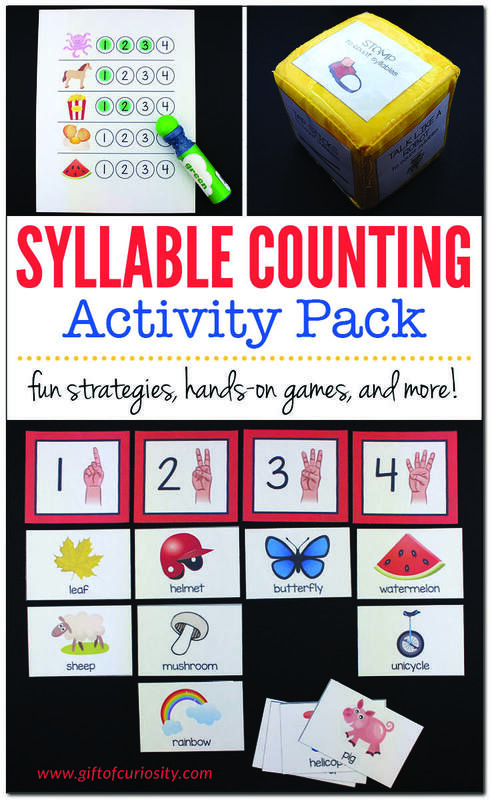 That’s right, I have put together an incredible resource with everything you ever wanted to know about syllable counting, including what makes a syllable, strategies for teaching children to count syllables, syllable word cards, and several interactive activities and games to get kids practicing their syllable counting skills including syllable race, syllable mazes, syllable counting clip cards, and more. 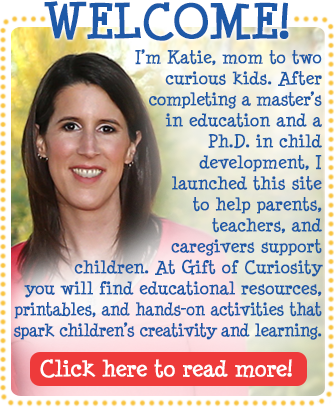 Note: For more early language and literacy ideas, see my Literacy Activities for Kids Page. You can also think of syllables as single, unbroken sounds of a spoken word. Sometimes syllables are referred to as the “beats” of language. A word can have 1, 2, 3, 4, or even more syllables. Every syllable must contain at least one vowel, as it is the opening and closing of the mouth to say the vowel sound that makes a syllable. However, it is the number of vowel sounds that determines the number of syllables in a word, not the number of vowels. For example, words like ‘bike’ and ‘cake’ have two vowels but only one vowel sound. And words like ‘sound’ and ‘boil’ are spelled with vowel teams that make a single vowel sound. As such, these words all have just one syllable. While every syllable must contain a vowel, a syllable may or may not include consonants. The number of syllables in a word is unrelated to the number of letters in the word. ‘Sounds’ with six letters and ‘red’ with three letters both have just one syllable. Similarly, the number of phonemes (the smallest unit of sound) is also unrelated to the number of syllables in a word. ‘Light’ has three phonemes (/l/ /igh/ /t/) and ‘go’ has two (/g/ /ō/), but both words have only one syllable. To reiterate, it is the number of vowel sounds, not the number of vowels, letters or phonemes, that determines the number of syllables in a word. Of course, your children can learn to count syllables without knowing any of this background information. But as an educator, you may have find this information helpful and clarifying. Why is counting syllables important? When you start to teach syllable counting, have your child start with words of high interest to them, such as their names and the names of their family, pets, and friends. 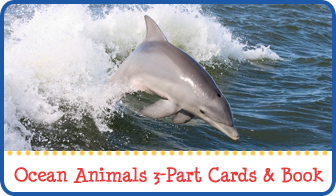 Then you can move on to other words that are relevant to them, such as naming their favorite foods or animals. 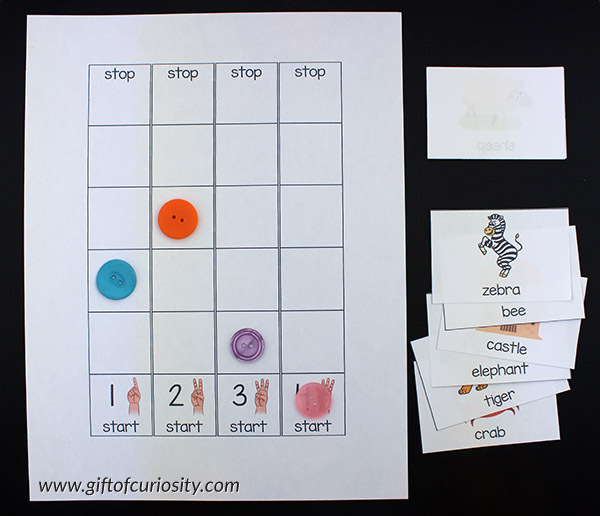 Clap out syllables: Teach your child to clap each syllable as they say a word. Tap out syllables with sticks: Instead of clapping, hand your child a set of sticks (e.g., craft sticks, drum sticks, or pencils). 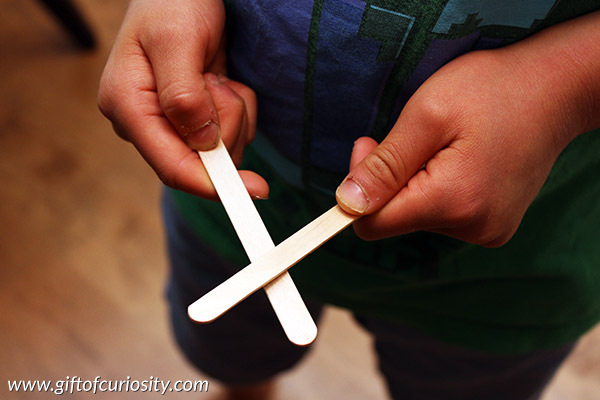 Your child should hold one stick in each hand and tap them together for each syllable in a word. 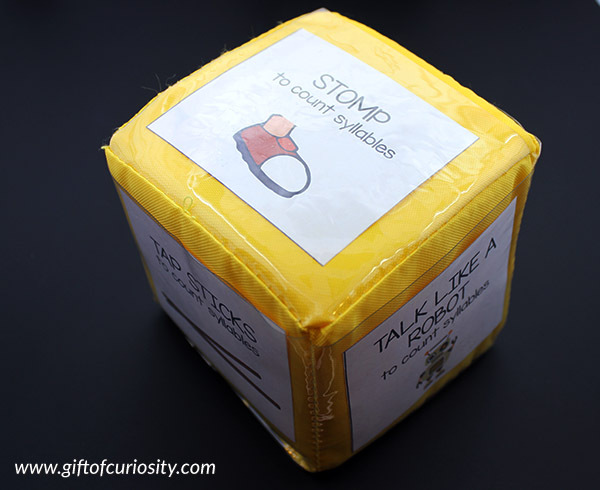 Stomp syllables: Have a child that likes to get up and move? Have them stomp the ground for each syllable they say in a word. Hum syllables: Have your child hum the word and count the distinct ‘hums’ they make while saying the word. Since vowel sounds are the sounds that can be sustained, they are the sounds that get emphasized when we hum. As such, humming a word facilitates counting its syllables. Try humming the word “elephant” and see how you make three distinct bursts of humming sounds while you do. 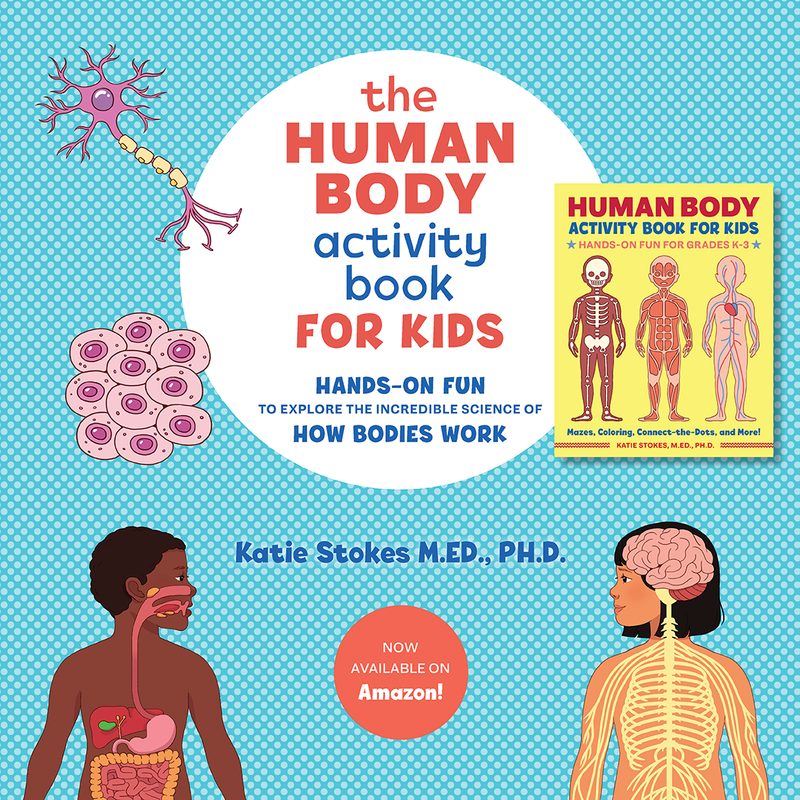 Talk like a robot: Have your child pretend to be a robot that talks in a very stiff, stilted way. Have your children “speak robot” while saying words, counting the syllables as they do. Count jaw drops: Each syllable has one vowel sound, and the mouth must open to say the vowel sound. As such, your child can count the number of syllables in a spoken word by placing their hand under their chin and feeling the number of times the jaw drops open. 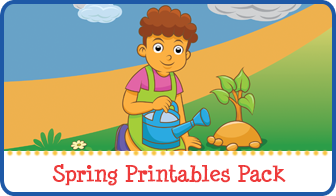 I have created a Syllable Counting Activity Pack chock full of fun, simple, and hands-on ways for children to learn and practice syllable counting skills. Three pages of syllable background information for the educator: All of the information in this post in a print-friendly format you can access at anytime. 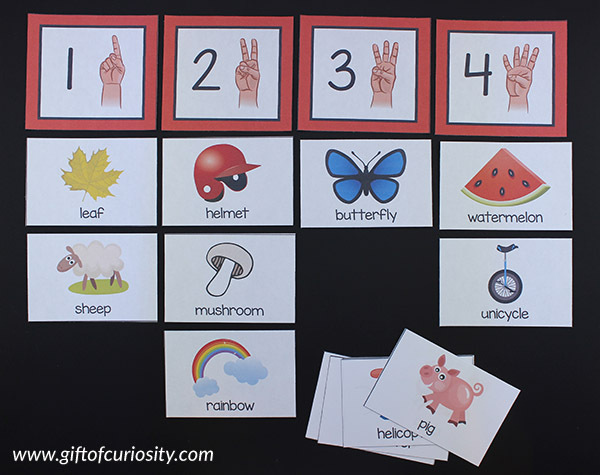 Word cards for 1, 2, 3, and 4 syllable words: These word cards can be used along with several other materials in the Syllable Counting Activity Pack to provide children with diverse opportunities to practice counting syllables. Syllable sorting labels: Use the included labels and word cards to have your child sort words based on the number of syllables in the word. 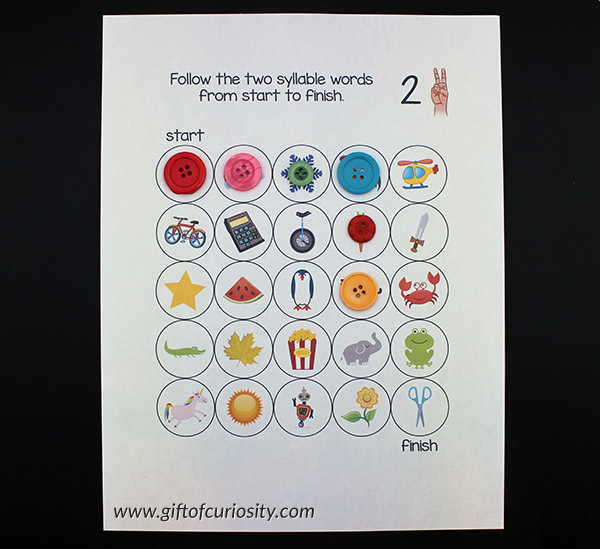 Syllable race game: Play a syllable race game for additional practice with counting syllables. 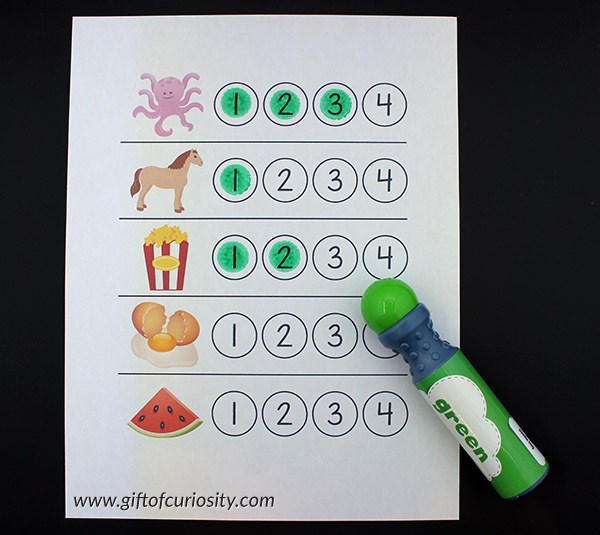 Syllable counting clip cards: Have your child count the number of syllables in the object on the card and then clip the appropriate number with a clothespin. Syllable mazes: Practice syllable counting with these fun and colorful mazes! Children start at the top and then have to find all the words with the same number of syllables in a trail leading to the finish circle at the bottom. Marking syllables activity worksheet: Your child can use dot markers to dot a number each time they say a syllable in the word. 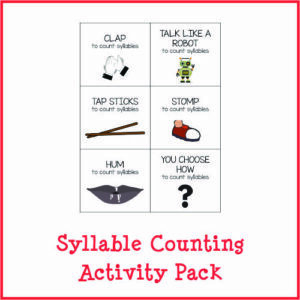 Want a copy of my Syllable Counting Activity Pack? 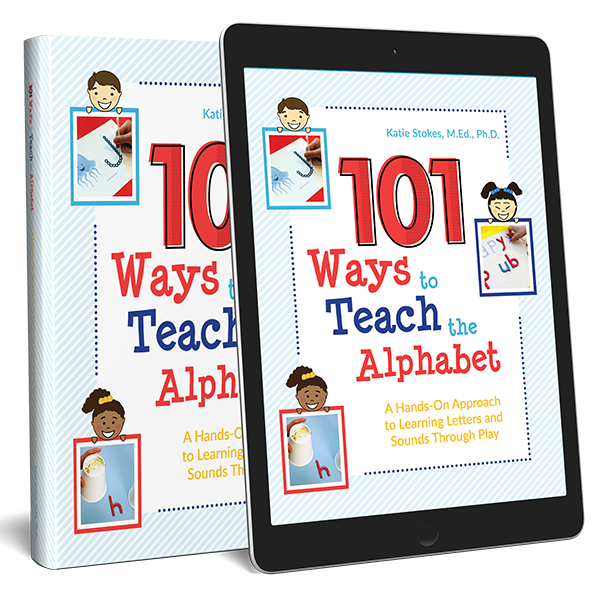 You can find more ways to teach early language and literacy skills on my Literacy Activities for Kids page and my Letter Learning Pinterest board.